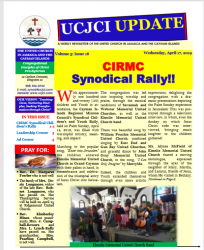 With approximately one hundred and twenty (120) children and Youth in attendance, the Cayman Islands Regional Mission Council’s Synodical Children’s and Youth Rally, held on Palm Sunday, April 14, 2019, was filled with worshipful artistry, meaning, and impact! Marching to the popular song, “Enter into Jerusalem” the children entered Elmslie Memorial United Church in Grand Cayman with their palms in hand, in remembrance and celebration of the triumphal entry of Jesus Christ into Jerusalem. 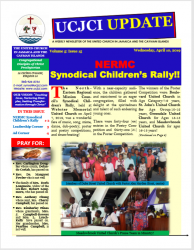 The North Eastern Regional Mission Council’s Synodical Children’s Rally, held at Webster Memorial United Church on April 7, 2019, was a wonderful fare of music, song, mime, dance, dub-poetry, poster and poetry competitions, and drum-beating!With a near-capacity audience, the children gathered and ministered to an eager congregation, filled with delight at the spiritedness and talent of such endearing young ones. 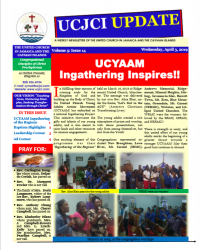 In fulfilling their mission of winning souls for the Kingdom of God and building up the Body of Christ, the United Church Young Adults Action Movement (UCYAAM) has embarked on a national Ingathering Project. This initiative showcases the gifts and talents of our young adults, and is also meant to raise funds and other resources for mission engagements. 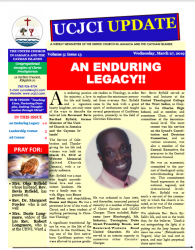 An enduring passion for ministry, a love for life and family, and a signature hearty laughter are only some of the ways to describe the beloved late Reverend Bevis Berthad Byfield, former Minister of the United Church in Jamaica and the Cayman Islands! 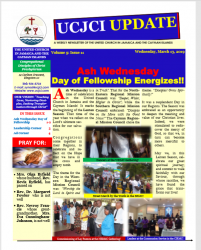 The United Church in Jamaica and the Cayman Islands is taking new ground in our Outreach Mission! 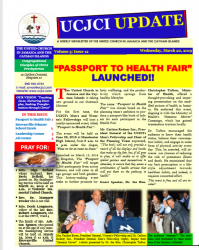 For the first time, the UCJCI’s Men’s and Women’s Fellowships will host a jointly-sponsored event, titled, “Passport to Health Fair”. 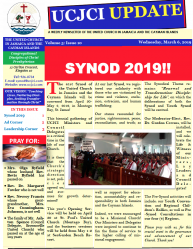 The 41st Synod of the United Church in Jamaica and the Cayman Islands will be convened from April 30-May 2, 2019, in Montego Bay, St. James! This biennial gathering of UCJCI Ministers and Council Delegates is a critical time in the life of our Church. It is there that the Church’s strategic direction is set, policies agreed on, and avenues for growth determined! 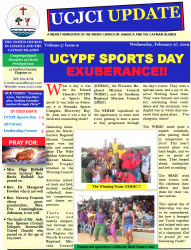 What a day it was for the United Church’s UCYPF at Sports Day 2019! It was held on February 9 at Noranda Sports Complex, Discovery Bay, St. Ann, and it was a day of thrill and resounding cheer!! Defending champions, the North-Eastern Regional Mission Council again won the title, and carried away The Nyle Jordan Ashwood Stewart Memorial Trophy awarded to the Winning Council! Activities included track and field, football, netball, volleyball, domino competition, and theme expression. 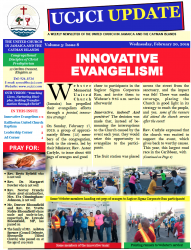 Webster Memorial United Church (Jamaica) has propelled their evangelism efforts through a pointed, innovative strategy! On Sunday, February 17, 2019, a group of approximately fifteen (15) members of the congregation, took to the streets, led by their Minister, Rev. Astor Carlyle, to issue about 400 pegs of oranges and good cheer to participants in the Sagicor Sigma Corporate Run, and invite them to Webster’s 9:45 a.m. service afterwards! 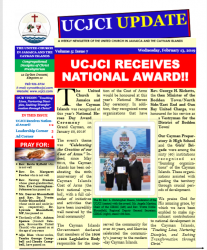 The United Church in Jamaica and the Cayman Islands was recognized at this year’s National Heroes Day Award Ceremony in Grand Cayman, on January 28, 2019! The event’s theme was “Celebrating the Creation of our Coat of Arms.” Indeed, since May 2018, the Cayman Islands has been celebrating the 60th anniversary of the Cayman Islands Coat of Arms (the first national symbol), with a full calendar of initiatives and activities that have been incredibly well received by the local community!